Communication is a burden and a joy. Even in a comfortable environment, surrounded by those who speak our language, our meaning and our explanations can lose their desired effect. The purpose of our words can get lost. If this happens, we might get an order of food we didn’t necessarily want. At its worst, misunderstanding can hurt a friend or start a war. On the opposite end of the spectrum, we communicate to thrill, excite and invoke thought. Poems, stories, music and moving pictures, written by those who seek to push the bounds of communication can raise awareness of our world and make us feel alive. L.L. Zamenhof understood the power of simple communication well. He understood that language connected to place – countries, regions, race – created predisposed reactions and barriers that hindered global communication and therefore hindered peace throughout the world. With this in mind, he set out to create a politically neutral language that would promote international understanding among all the different languages around the world. The language he created was called Esperanto. Esperanto, first detailed in the book, ‘Unua Libro’ in 1887, is now one of the most widely used constructed international auxiliary languages in the world. There are people that even grew up learning Esperanto – meaning it is their native language. The language is promoted as easy to learn and the fact that it is spoken in nearly 115 countries gives it enough credentials to have me convinced. In everyday usage, Esperanto has been found to be a great foundation for people learning other languages and it is taught in many schools for such purpose. Movado is Esperanto for ‘continuous movement’, and also the name of a well-respected clock manufacturer with a rich history of designing unique and fascinating clocks. 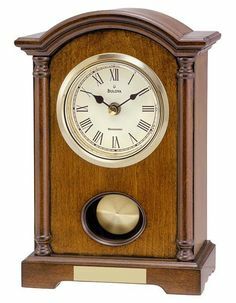 Movado Clocks is a Swiss company, founded in 1881 by Achilles Ditesheim. The company made a name for itself when it created the Museum Watch, which had a single gold dot at the 12 o’clock position. The gold dot was a representation of the sun at its apex. It garnered enough attention that it was displayed at the Museum of Modern Art. Today, Movado continues their line of extremely modern designs in all their desk clocks and executive timepieces. The Movado Museum Dial Black Solid Crystal Round Clock is my favorite of the bunch. It’s constructed of black and clear solid crystal with a round face showcasing the iconic dot at high noon. 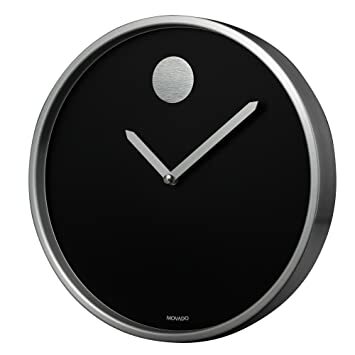 But, the Movado Aluminum Swivel Clock is a close runner up with its fun, yet sophisticated demeanor. This company has something for everyone. So take a look at the wonderful clocks available from Movado at Executive Essentials and enjoy one of the most universal forms of communication ever created; time. If you know anything about the Acme pen company then you know that they are a highly successful company that creates fun and innovative products of high quality (not to be confused with the fictional company of a similar name that has sold a plethora of devices and gadgets to a lonely coyote who lives in Arizona and has a penchant for fast birds). In fact, Acme Pens have been so successful in recent years with their designs and creations that you can find their products in 49 countries around the world. An astounding achievement for any company, but not so surprising when you take a closer look at their products and their philosophy. The idea behind Acme Pens is fairly straight forward. Hire design artists to come up with fun and funky pen ideas that make people smile and think. This involves giving artists free reign to create and tinker with expression, colors, and message. It turns a common everyday item into a canvas; one that has seldom been explored with the full fervor and creativity that Acme brings. The result is a world of endless possibilities wrapped around a barrel of ink. The Brand X line from Acme is a collaboration of artists coming together to create patterns that at first seem understated and complacent. A deeper inspection, however, reveals patterns that are bold and vibrant with colors to match. So let us take a few moments and learn more not only about the pens, but the artist’s behind them as well. The Ritz Dots pen features a black resin casing with white dots that speckle the entire length of the body and cap. This particular ballpoint is the creation of Adrian Olabuenaga. Olabuenaga was born in Buenos Aires, Argentina and grew up in California where he fostered a life-long love of functional art. Some of his earliest work was done on the medium of radios and furniture. Besides being an accomplished artist, Olabuenaga is also co-founder of Acme and part of the genius behind the Acme line of products. Beyond his work with Acme, he designs for such companies as Boeing, Disney, Mercedes Benz and Warner Brothers. His current specialty is creating identities for business and branding purposes. The creator of the Blueprint Ballpoint, Constantin Boym, was born in Moscow, Russia in 1955. He graduated from Moscow Architectural Institute and later received a Master’s degree in design from Domus Academy in Milan. Design Studio he started in New York City became his base of operations where he designed watches for Swiss manufacturer Swatch, table settings and dishes for Authentics and Alessi as well as many art exhibits for museums around the United States. The Blueprint Ballpoint is a simple, yet effective ode to the design considerations that come forward on the drafting board of architects around the world. When it comes to furniture, architecture, industrial design and photography, Charles and Ray Eames are considered some of the best designers of the last century. The catalog of work that this husband and wife team has produced extends beyond 100 films. They worked together, intimately, to create wonderful pieces of art in a broad range of categories. From them, the world was introduced to the famous Eames Chair. Here, with the Acme Brand X Dots Ballpoint Pen, we see them launch into a new medium. Like many of the Brand X pens, the Dots Pen is understated, yet bold. It’s simple lines lend it a sense of boldness and texture that upholds the Eames legacy. This wonderful pen from Acme features a resin casing with green waves pulsating across the body of this modern looking retractable ballpoint pen. The designer is Karim Rashid, a man with as many accolades as Acme has designed. He is credited with bringing affordable design and styles to the general population. One of his major accomplishments in this field was by teaming up with Target to come up with a season of styles in a variety of products from kitchen supplies to beach towels and furniture. He loves to incorporate cultural significance into his designs in an effort to shape and bend the preconceived notions we have about how society and the world operate on daily basis. His mission is to educate by igniting our passion with solid, creative design. This is by far my favorite Brand X pen from Acme and it comes from America’s most innovative and creative architect – Frank Lloyd Wright. This absolutely modernly styled pen comes from a man who was born in Wisconsin in 1867 and who would grow up to bring the world 11 of the one-hundred most significant buildings in the world, according to the Architectural Record, published in 1991. The pen itself is a polyphonic spree of colors and shapes rooted in hues of browns, reds, and greens. It has a presence that is both sophisticated and playful. This simple, retractable ballpoint pen is a true nod to the buildings and style of Mr. Wright himself. Take the time to check out these five amazing pens and the designers behind them at Executive Essentials. What’s even better is that right now you can get one of these designer originals for only $59 at EE. The ovens are far from heating up for this 2011 Thanksgiving dinner, but that doesn’t mean that Christmas is content to wait on the sidelines until we are all done digesting. In fact, ho-ho-ho tinged commercials have already infiltrated the airwaves and local shops are already trimming their newly frosted windows in red and green. It is clearly time to start thinking about the gifts we choose to say ‘thank you’ to those around us in our daily lives. And there is no better way for a business to say thank you to its employees and customers than with a high-quality pen that is stylish and affordable. Executive Essentials makes gift giving easy by offering a wide selection of personalized pens from top name brand companies like Cross, Waterman, Waterford, Parker, and Dunhill. The pens in the EE catalog come in a wide variety of styles and prices to fit the needs of just about any company’s budget. At Executive Essentials, we have the ability to offer substantial discounts for high volume orders and with a little extra time, we can let you see a finished sample of your logo pen prior to your order. We know that you want the very best when you give gifts and we have the pens you need and the service to make it come true. And, unlike cheap custom pens, our pens come from name brand, well-respected companies that offer quality, style and satisfaction guaranteed. Take a look at a few of the amazing pens in the Executive Essentials catalog that come with the option of being engraved. This streamlined pen from Parker has a stainless steel body that is brushed to give it a textured effect before it is buffed to smooth gloss finish. Although the shape is simple, the pen itself is designed for a comfort and feel that is appreciated by both men and women. The gold accents give it a flair that is striking without being gaudy or garish. Listed at $65 with another $14 for engraving, the Parker Sonnet is a gift worth giving and worth receiving. One look at the elliptical shape of the Waterman Carene Ballpoint brings to mind an object of speed and grace. The almost bullet like design has a simplicity that is understated and mired in a long standing tradition of craftsmanship. It all makes sense though when you find out that the Carene is modeled after the world’s finest Yachts. The barrel is a high-gloss lacquer and is trimmed in gold for a dynamic look with a weight that feels good in all hands. This executive pen carries a $150 price tag and costs $16 to personalize, but it’s not a gift soon forgotten. At the lower end of the price spectrum is the Claria in chrome from Waterford Pens. But, don’t be fooled by the $31.99 price tag. This inexpensive pen is far from cheap. The chrome barrel of the pen gives it a substantial feel and the shape lend it a fit for any hand. The rhodium plated finish give it a look that shines bright with sophistication and prestige. This is a great pen for everyday use. One that can be put to work and offer style all at the same time. Engraving this pen costs $14, with two choices of font and 22 characters of engraving text. The right price. The right pen. The right gift. Don’t settle for cheap engraved pens this Christmas season. Come and take a look at Executive Essentials and see what quality company logo pens can look like when done right.